The reason that we continue to come back, year after year, is that you three are just “flat-out” the best! 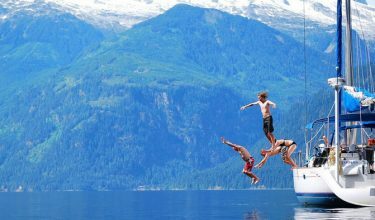 This year completes our 29th bare boat chartering experience, including such diverse locations as Tonga, Croatia, Australia, Thailand, all Virgins – British, Dutch, Spanish and USA, Turkey, three Greek ‘s – Dodecanese, Cyclades, and Sporades, French and Italian Rivera’s, Corsica, the Northwest’s Gulf Islands, San Juan Islands, Sunshine Coast, and Desolation Sound. 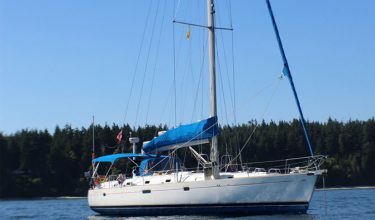 The reason that your relatively new Nanaimo Yacht Charters operation runs circles around Moorings, Sunsail, and the others, is the experience that you three have had running global yacht chartering operations for decades. Ian and Shari pioneered Sunsail’s operations in the Med and Caribbean for years. While entrepreneur Lorraine built a very successful personnel operation in South Africa for many years. You bring this experience, along with the joy of finally running your own new Company. I like the fact that you also have the family involved in servicing your clients. 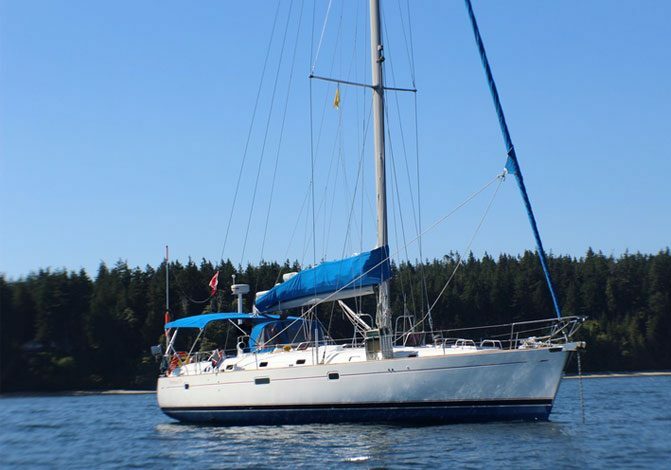 Your daughter Beth and her team provided our Beneteau 473 in absolutely mint condition. Ian, personally made sure that all of the electrical and mechanical gear was working to perfection. 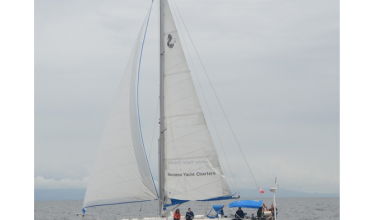 As a result, our boat handled beautifully during two heavy weather conditions, (25 to 30+ knot winds) unusual for that time of year in Georgia Straits. Lorraine and Shari’s knowledge of the various marinas, adventure tours, great restaurants, anchorages, and sightseeing opportunities enhanced the pleasure of our sail. Thanks again, dear friend Ian! You’ve always been available to me, real time night or day, to help me solve any small weather or equipment related issues. You have been a dream companion in the planning and thinking through various float plan alternatives. Our crew member friends loved your suggestion. 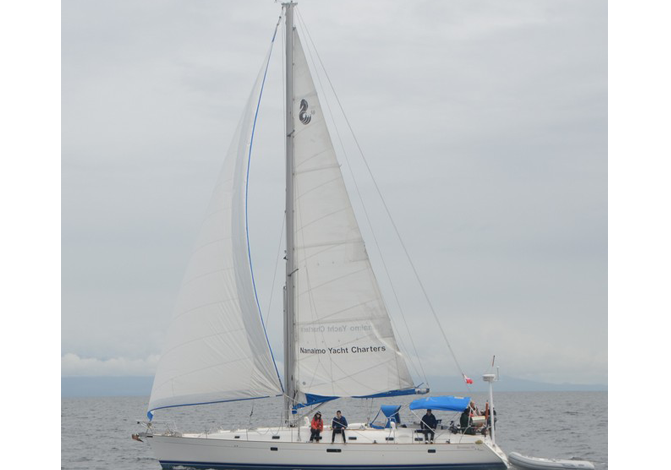 We began sailing your beautifully prepared and seaworthy boats July 2003, after Ian opened Sunsail’s Vancouver base. 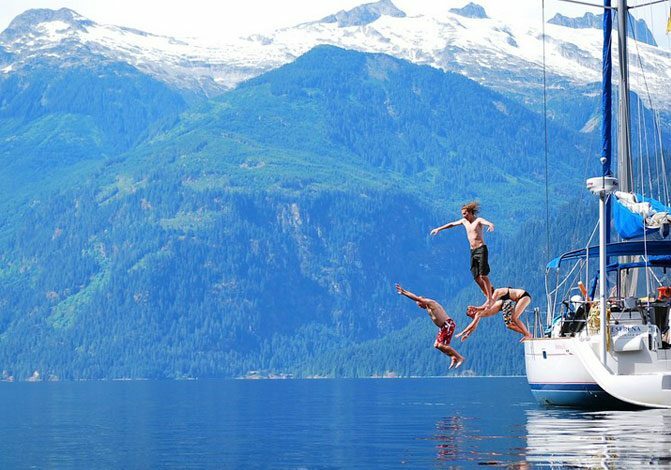 Our migration to your new Nanaimo Yacht Charters, with your team’s legacy of skills and personal service, was one of the most positive things we have ever done. Keep up this great tradition. Chairman and CEO Treehouse Ltd.